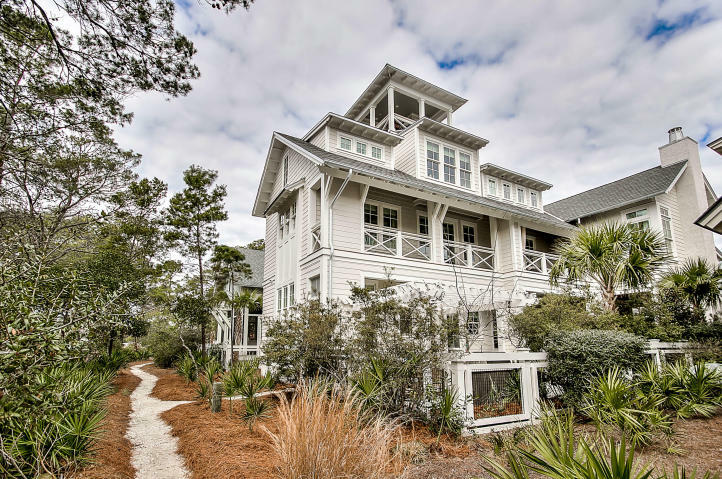 This exceptional WaterSound Beach residence is a superior collaboration between architect, builder, interior designer and owner. 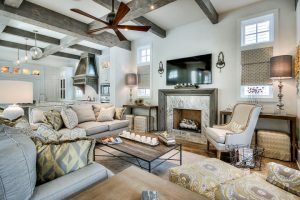 Spacious and comfortable indoor and outdoor spaces are paired with meticulously selected features and finishes. 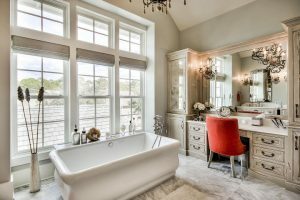 Sold furnished, this home boasts nearly 4,000 square feet of living space with five bedrooms, five full bathrooms, one half bathroom and an elevator. 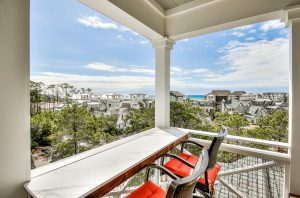 A fourth story tower features spectacular Gulf and community views. Love to cook? 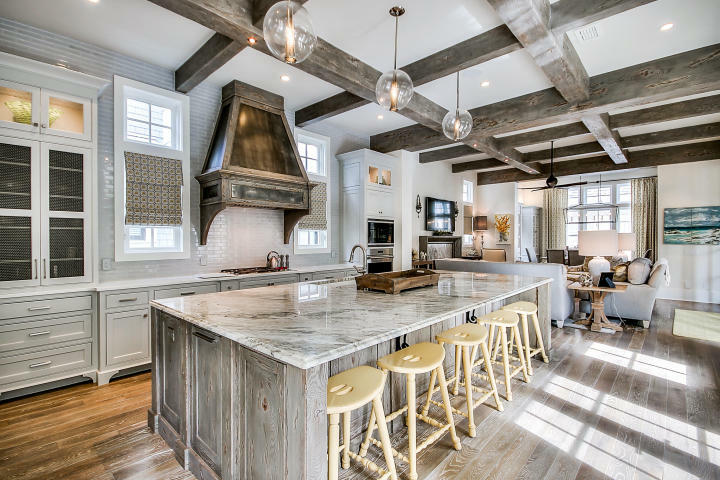 The gourmet kitchen offers Wolf and Sub-Zero appliances, custom cabinetry, ample prep space and a large island with seating. 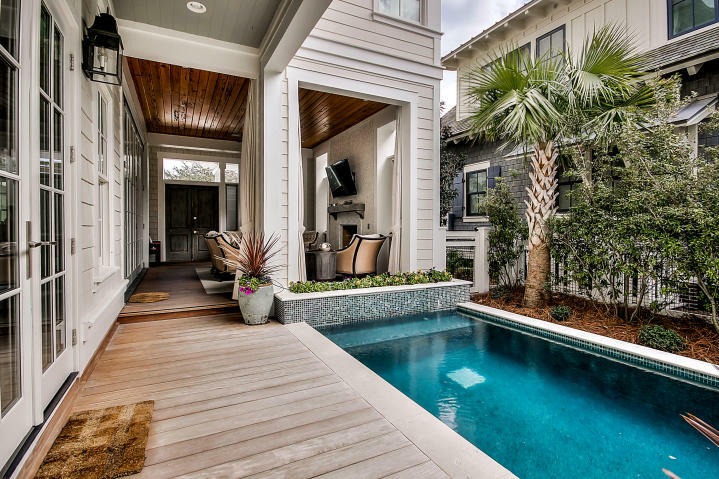 Find a seamless transition from indoor to outdoor living with a 10’ Kolbe folding door system that joins the living room with a cozy outdoor living area complete with its own fireplace. 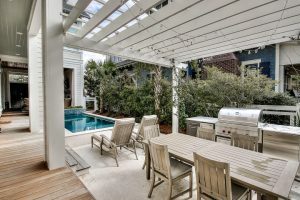 Enjoy the 30A lifestyle to the fullest with an incredible private pool, trellised eating area and summer kitchen. 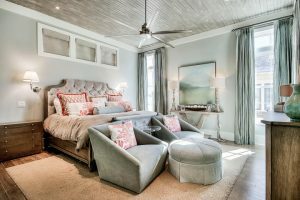 This exquisite master suite is one of four king bedrooms. With an additional guest room plus a third-floor bunk room, everyone has privacy and space.